Course Selection Sheets and books will be handed out to students in homeroom on the dates listed below. Please carefully review the sheets for all directions, procedures and target dates. Once the form is completed and Teachers / Chairs have approved your selection the form must be submitted to the Scheduling Office (Room 124). No phone calls please. 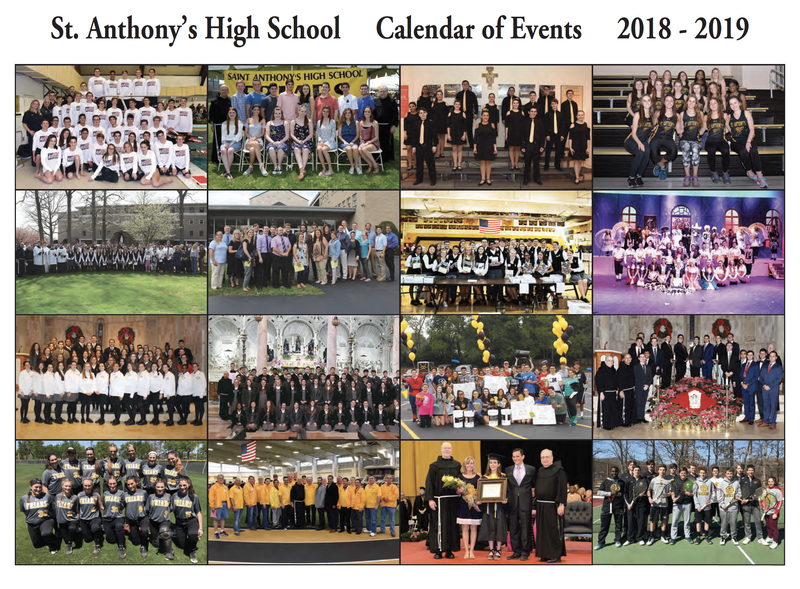 Direct all communications to scheduling@stanthonyshs.org . Beginning January 3rd, 2019: Freshmen will receive their course selection sheets in homeroom and review the 2019-2020 Course Selection process in their Guidance Classes. January 4th, 2019 Course Selection Booklets will be handed out to all students in their Homerooms. They will also be available on the St. Anthony’s High School website www.stanthonyshs.org . January 24th, 2019 Freshmen Course Selection Due for the 19-20 year. January 25th, 2019 Juniors and Sophomores will receive their course selection sheets in homeroom and review the 2019-2020 Course Selection process in their Guidance Classes. February 13th, 2019 Junior and Sophomore Course Selection due for the 19-20 year. February 15th, 2019 to February 22nd, 2019: Mid- Winter Recess. March 7th, 2019: All Students will receive a tentative list of their courses for the next year. March 7th, 2019 to March 13th, 2019: Students may request a change to their courses for the 2019/2020 year by submitting a completed and approved schedule change form to the Scheduling Office. Forms to request a change will be available in the Scheduling Office and on the Web Site. March 13th, 2019: All requests for the 2019/2020 school year must be received. Wednesday, March 27th, 2019: A Final Course Selection Sheet which contains all the core courses that the student will be scheduled to take for the 2019/2020 school year will be distributed Via the Student and Parent Portals. Please note that the initial textbook lists must be distributed to the various school districts in April, so it is very important that each parent sign off on the student’s course selections by signing the Final Course Selection Sheet by March 29th, 2019.